Guest blogger Trevor Borg is back with more information about the upcoming Culture of Ageing project, which is part of VIVA 2015. Find out what Dutch curators, Lennard Dost and Mare van Koningsveld, and artist Femke Bakker had to say about this project. I met Dutch curators and organisers Lennard Dost and Mare van Koningsveld in Valletta and our encounter soon developed into an interesting discussion during which past and present converged and overlapped in a fluid and fascinating manner. We discussed ageing, to be precise, we discussed the Culture of Ageing, a curatorial project they are entrusted with as part of VIVA 2015. Lennard and Mare are interested in a cross-boundary approach to art and they often juxtapose social issues and place specific matters with practice-based research. They feel that, at present, ageing is a highly relevant topic since many countries, including Malta, are seeing an increase in the number of senior citizens. They explained how last year they were invited by Valletta 2018 to do research for a possible project in Malta and, after spending some time here, they decided that ageing was a timely concern which could be investigated further through artistic practice. Knowing that ageing was a topical subject in Malta, they embarked on a project that investigates the theme from a communal and a contextual point of view. The Culture of Ageing is a collaborative project in many aspects; it involves artists, curators, various entities and the elderly themselves who actively contributed to this project. Lennard and Mare work together with the European Research Institute on the Biology of Ageing (ERIBA) in the Netherlands. Earlier this year, young Maltese artist Adrian Abela spent two weeks doing research there and his work will be included in The Culture of Ageing collective exhibition. The exhibition, which starts on 31st August and runs till 27th September at St James Cavalier, will see the participation of local and foreign artists, some emerging, others established. Complementing this, there will also be a series of lectures and free film screenings. A series of workshops are also being held at various local homes for the elderly where residents are being asked to exchange messages in the form of postcards with their counterparts abroad as a symbolic cultural swap. The active involvement of elderly citizens is foregrounded in this cross-cultural dialogue and their stories enrich the texture of such multimodal project. Half an hour or so into our intriguing conversation, we are joined by Femke Bakker, the young Dutch artist presently working in Malta who is also onboard this project. Femke works with and researches maps, data and books and her focus is mainly on social aspects. Her background as a graphic designer makes her aware of the different ways how people understand form. In Malta, she is having conversations with elderly residents at CareMalta’s homes and by visiting their personal and public space she is trying to understand what makes a house a home. Drawings with pen and ink on paper appear to zoom into personal space and zoom out into a fine spatial meshwork. Her work is also going to be included in The Culture of Ageing collective exhibition. Femke Bakker explains that her background in graphic design can be discerned in her work. She describes the process of making graphic pen and ink drawings as a meditative one since it gives her more command over her thought process. She is particularly attracted to the close-knit community here in Malta, where everyone seems to know each other or is related to the other in a direct or distant way. She kind of confesses that this contrasts starkly with the dynamics of society in her home country. Our conversation soon turned philosophical as Lennard and Mare explained that art research is all about opening up, rather than trying to find solutions or borrowing ready-made answers. Art seeps through the crevices to open up caves and expose lacunae, working its way through by moving in various directions from which further paths and possibilities continue to emerge. Art research is revelatory since it shows us potentialities, multiplicities, lines of flight and deterritorialisations. It is a continuous process of becoming other; of becoming something else. 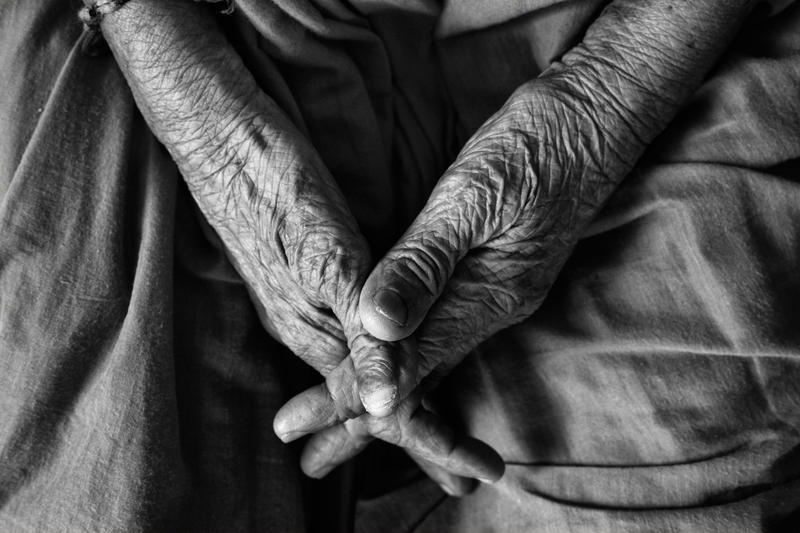 The Culture of Ageing explores the thematic in an unusual and innovative way. It emphasises certain aspects, generates further understanding, and shows different perspectives on how we deal with ageing. The Dutch curators confessed that they are enjoying their stay here in Malta and it has been made even more pleasurable thanks to the dedication and incessant work of their Maltese counterparts. The Culture of Ageing is being held through the collaboration of Valletta 2018 and Leeuwarden 2018. For more information visit http://www.viva.org.mt. Partners for the Culture of Ageing include: INIA (The UN International Institute on Ageing) which is situated in Malta, CareMalta, Seniors helping Seniors, Active Ageing in Malta and MaltaToday. Trevor Borg is a practicing artist and lecturer.